New technologies keep changing the way we shop. We are currently in the middle of a major retail industry transformation, and the lion’s share of that revolution is happening thanks to new technologies. It feels like self-payment checkout systems have been around forever, yet they’re a relatively new thing within the last decade. This shows how easily we adjust to new technologies in retail, and how quickly we start to treat them as an essential part of our shopping experience. But the retail industry didn’t start changing 10 years ago. We can refer to the birth of the modern retail industry in the late 1800s when merchants moved from the model of specialist-only stores to ‘everything under the same roof’ department stores. It was during this time that the first cash registers appeared to keep the money safe. Even though the idea of buying goods on credit has been around forever, the first successful credit cards systems were implemented in late 1950s. Retail stores quickly realized that people were willing to spend more money while paying with a plastic card, rather than cash. This rule hasn’t changed since the 1950s, so retail stores make sure the use of credit cards is easier than it has ever been before. The 1970s brought another revolution – the use of barcodes. These machine-readable codes allowed the retail industry to become extremely automated. Thanks to this new addition, the stores became much bigger, offering tens of thousands products at the same time. Another huge transformation came in 1990s. The arrival of the widely accessible internet led to a huge portion of retail going online. Both Amazon and eBay started in 1995, changing the ecommerce landscape forever. Right now over 85% of all retailers have an online presence. That’s why a lot of experts were anticipating the apocalypse of traditional in-store retail. The reality became more nuanced though, as e-commerce forced traditional retail to change radically, but it definitely didn’t kill it. As with every big change – the industry needed to adapt, and it is in retail’s DNA to adapt to new circumstances. To adjust to the constantly changing retail environment, leading retail companies turn to new technologies to provide an exceptional experience for their customers. Even though there are tons of new ideas coming up every year, we can point to few technological trends that are especially hot right now. One of the hottest trends right now in retail technology is facial recognition. This technology has been developed by the army and the police to deal with criminals. But as it has happened so many times in the past – technologies developed by the state for public safety or for military use also find their way onto commercial markets. Facial recognition creates a lot of opportunities for the retail industry. 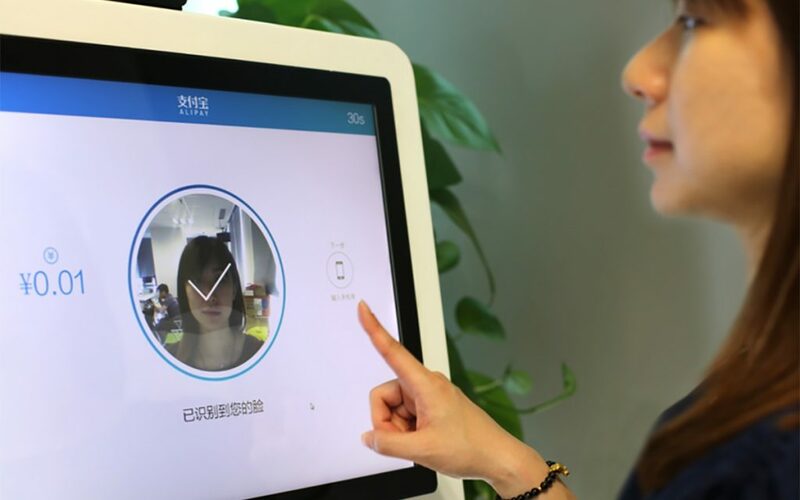 It can make the paying process quicker – several Chinese companies have already introduced paying booths with such technology. This way the customer doesn’t have to have cash or a credit/debit card and the whole process only takes a few seconds. Paying has never been easier. Retail companies can also use facial recognition to store data about customers.  This way they can easily identify regular customers with all of their preferences and past shopping history. We can only imagine how helpful this kind of information can be to salespeople. This kind of knowledge is particularly important for high-end stores with the highest quality of customer service. Another new technology that is taking the retail world by storm is Augmented Reality. The AR experience can truly change the online or in-store shopping process. Imagine how easier it is to choose new furniture after seeing all of the available options inside your room using an AR app. Another fantastic way of applying Augmented Reality in the retail industry are augmented mirrors. The traditional in-store fashion retail industry has been particularly hit hard by the growth of e-commerce. That’s why fashion companies have to be creative to provide an exceptional experience for the customers who visit their physical stores. AR mirrors provide a great opportunity to present all the fashion choices available without wasting customers’ time changing clothes several times. Unmanned checkouts are another new technological trend that is rapidly changing the retail industry. Self-Payment Kiosks have been a huge success when it comes to innovation in the retail industry over the last few years. 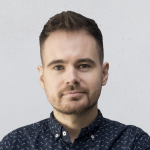 Now it’s time to go a bit further – several retail businesses are working on solutions which would eliminate the process of payment checkouts altogether. The objective behind contactless paying is that the act of paying is seen as something completely detached from the positive experience of getting new stuff. We see it as a negative necessity that is legally required from us. There’s no doubt though that we would want to make the process of payment as quick and forgettable as possible. Contactless paying provides this kind of experience – it makes the process of paying almost invisible and unconscious. This way the positive experience of buying new things is not interrupted by the ‘chore’ of payment. From the seller’s perspective this is the greatest solution. Research shows that we tend to spend much more when we use credit or debit cards instead of cash. What if we didn’t have to use cards as well? We can all easily guess the answer. One of the companies that is changing the way we shop is Exruptive and its sister company IntelTrack Systems. These Danish companies are focusing on helping department stores to create an even better experience for its customers. The main focus for them is the use of the Internet of Things (IoT) – the interconnection via the Internet of computing devices embedded in everyday objects, enabling them to send and receive data. The word data is crucial here. Exruptive creates an opportunity for malls and supermarkets to collect, analyze and use data to make traditional retail even more intuitive and easier for customers. The main idea behind Exruptive is to create an Intelligent Trolley System. This interactive trolley is equipped with a tablet and ultrasound receiver. This technology creates many great opportunities that wouldn’t be possible with a traditional trolley. 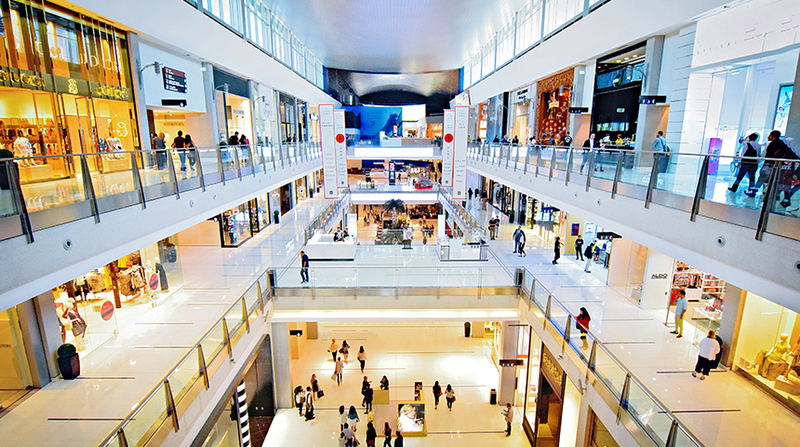 First of all, the tracking system allows the mall to collect and analyze data of customers’ behaviour. These stats, showing which paths we choose or where the points where we spend most of ourtime are, are incredibly useful for merchandising. By knowing the details of customer movements, marketing specialists can arrange product displays in the most effective way. The tracking system in Exruptive also helps customers to navigate around the mall in a much easier way. The indoor positioning system is considerably more accurate than GPS, and thanks to this Exruptive can track trolleys much more precisely, up to 30 cm. This way, customers can find their way not only between different shops, but thanks to the accuracy, the tablet can help them navigate between aislesof the same store too. The intelligent trolley’s tablet is a great device to display ads. We live in a world overcrowded with ads, so it’s becoming more important to make them as personalized as possible. Thanks to the tracking system, the ads displayed on the tablet can be triggered by the current position of the trolley. This way, customers can be informed about promotional offers matched with the place where they actually are at the moment. Several studies have proven that this kind of advertising is significantly more effective. Not all the benefits of the Exruptive app are visible to the mall or supermarket customers. A big part of the app’s success is the ITS Administration panel. This backend solution, even though only used and available to mall operators, is an incredibly useful feature of the app. Thanks to the administration panel, the operator can easily manage points of interest on the map of his site. This way the changing composition of the mall(shops, restaurants, services etc.) is not a problem at all – just a few clicks and the whole map can be updated. The administration panel also allows the operator to easily manage ads, promotions and offers displayed on the trolleys’ tablets. Another handy feature of the panel is the possibility to track all the trolleys in the system. It’s useful to see where they’re at any given moment and also to check if any of them need recharging. What’s very interesting is that Exruptive was created with the focus on the aviation industry. Apart from all the features created for retail, the app can also ease the passengers experience at airports. By scanning their boarding passes, passengers can be navigated to their gate. Anyone who has ever used any of the world’s major airports can definitely understand how useful this feature can be. Saving our time and making our travel way less stressful. Retail is going through dramatic changes. A big part of it has been forced by the huge growth of e-commerce. Traditional in-store retail is not going to disappear though. New technologies will come to its aid by completely transforming our traditional way of shopping. AR, unmanned checkouts and facial recognition are just a few examples of the tools used to improve our shopping experience. Total retail sales worldwide in 2020 are projected to reach almost 28 trillion dollars – the competition in this market will definitely be as fierce as ever.